We’d love your help. 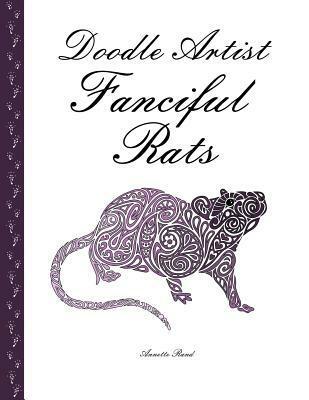 Let us know what’s wrong with this preview of Doodle Artist - Fanciful Rats by Annette Rand. A colouring book designed just for those discerning folk who love rats as pets. This book contains thirty images of rats in various styles and differing levels of intricacy. The images are printed on a single side of the paper to help prevent bleed-through. We recommend putting a sheet of paper or card between pages if using strong inks. The back of each page is marked with A colouring book designed just for those discerning folk who love rats as pets. This book contains thirty images of rats in various styles and differing levels of intricacy. The images are printed on a single side of the paper to help prevent bleed-through. We recommend putting a sheet of paper or card between pages if using strong inks. The back of each page is marked with a cutting line to aid removal of pictures. To ask other readers questions about Doodle Artist - Fanciful Rats, please sign up. This is the perfect book for fans of pet rats. Beautiful, adorable illustrations! This rat-lover is all kinds of happy.